Amazon Web Services activated AWS EU (Paris) Region, its 18th infrastructure zone globally for a total of 49 availability zones, and its fourth region in Europe, joining existing regions in Germany, Ireland, and the UK. The new AWS EU (Paris) Region offers three Availability Zones. For data sovereignty concerns, the new AWS EU (Paris) Region will ensure that corporate data is stored in France and will not move unless the customer moves it. AWS also operates three Edge Network Locations in Paris and one in Marseille. By early 2019, AWS expects to activate another 12 Availability Zones and four regions in Bahrain, Hong Kong SAR, Sweden, and a second AWS GovCloud Region. Broadcom announced commercial shipments of its StrataXGS Tomahawk 3 Ethernet switch silicon boasting 12.8 Terabits/sec in a single device -- double that of any other switching chip currently in the market. Tomahawk 3 paves the way for high-density, standards-based 400GbE, 200GbE, and 100GbE switching and routing for hyperscale cloud networks. The latest gen silicon is expected to be adopted by leading network equipment OEMs as well as by hyperscale cloud companies. Third party companies cited in the product announcement included Microsoft, Alibaba, Arista Networks, Baidu, Juniper Networks, LinkedIn, Tencent, Accton, Celestica, Delta Networks, Quanta, Applied Optoelectronics, Foxconn Interconnect Technologies, Intel Silicon Photonics, and Luxtera. The new chip, which arrives 14 months after Broadcom introduced its 6.4Tbps product generation, offers 40% lower power consumption per 100GbE switch port and up to 75% lower cost per 100GbE switch port. 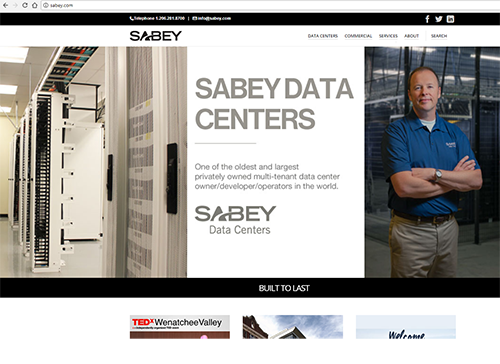 Seattle-based Sabey Data Centers, which owns and operates data center campuses in Seattle, Ashburn (VA), Quincy (WA) and Wenatchee (WA), closed a $675 million financing package led by TD Securities, including a $425 million 5-year term loan and a $250 million 5-year revolver. The company said proceeds of the term loan will be used to refinance existing property-level debt into a corporate facility, while the revolver will be used to fund capital expenditures for data center development and strategic initiatives. 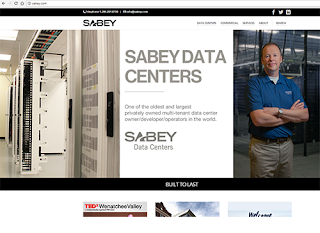 Sabey plans to expand its data center campuses in Northern Virginia as well as in Central Washington, which benefits from low power rates and a mild climate ideal for efficient cooling. Bharti Airtel Limited agreed to acquire Millicom's Rwanda mobile network, which operates under the Tigo Rwanda brand. The companies said the price is approximately 6x 2017 adjusted EBITDA, payable over two years, consisting of a mix of cash, vendor loan note and earn out. Media sources put the price at about US$6 billion. 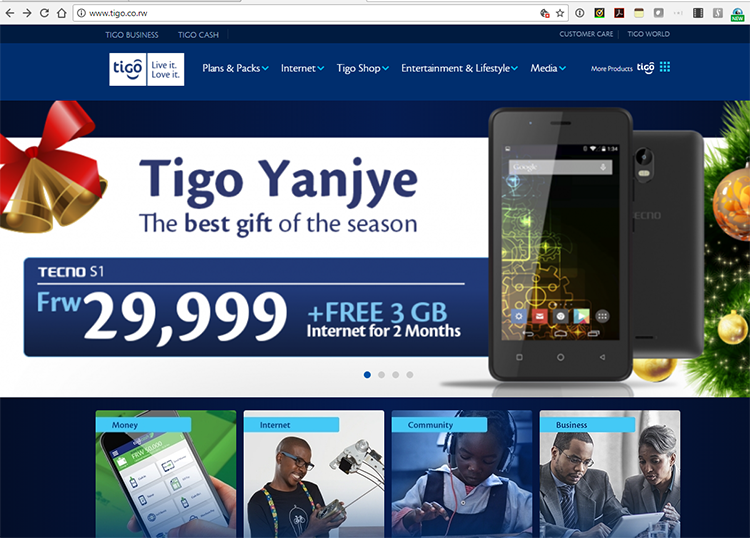 Tigo Rwanda has about 3.25 million customers. By integrating the assets with its own Airtel Rwanda, Bharti will hold approximately 40% of the market, behind MTN. Airtel Africa also has operations in 15 other countries, including some acquired properties in Uganda (Warid), Congo B (Warid), Kenya (yu Mobile), and Ghana (Millicom). Sunil Bharti Mittal, Chairman of Bharti Airtel stated: "Airtel has taken proactive steps in Africa to consolidate and realign the market structure in the last few remaining countries where its operations are lagging on account of lower market share and presence of too many operators. Airtel and Tigo have already merged their operations to create a strong viable entity in Ghana. 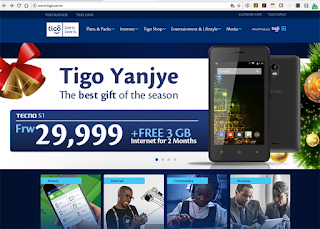 Today, it has taken yet another important step to acquire Tigo Rwanda to become a profitable and a strong challenger in a two-player market." Mauricio Ramos, CEO of Millicom, commented: "The sale of our business in Rwanda is in line with our strategy to focus on providing advanced fixed and mobile data services in Latin America. We are very grateful to the government of Rwanda for their support throughout the last eight years, which allowed us to extend digital inclusion to thousands of Rwandans." CyrusOne unveiled plans to build a massive data center campus in Atlanta to serve its expanding customer base of hyperscale cloud providers and Fortune 1000 enterprise customers. The new 44-acre campus is located in the Riverside West Industrial Park in the Atlanta suburb of Douglasville, Georgia. Upon full buildout, the site will include three data centers, with 440,000 square feet of data center space and 50 megawatts of critical power. CyrusOne expects to begin construction in Q1 2018 and complete the first data center building by summer. The data centers will have access to multiple cloud providers and will be linked to the CyrusOne National Internet Exchange (National IX), which delivers interconnection between other CyrusOne locations across the country. Customers will additionally have direct access to one of the largest fiber hubs in the United States. Georgia Governor Nathan Deal welcome the project, valuing the direct investment at $200 million. The campus is projected to generate an additional $600 million in investments over time. 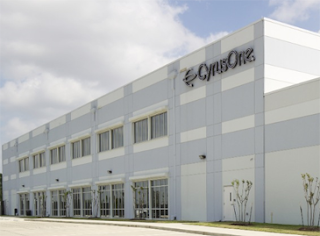 CyrusOne operates 44 data center facilities across the United States, Europe, and Asia. 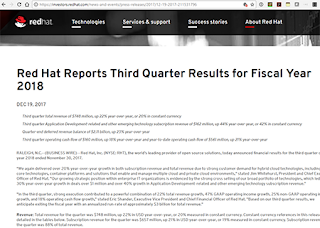 Red Hat posted sales of $748 million for its fiscal quarter ended November 30, 2017, up 22% year-over-year, or 20% measured in constant currency. Subscription revenue for the quarter was $657 million, up 21% year-over-year, and now constituting 88% of total revenue. "We again delivered over 20% year-over-year growth in both subscription revenue and total revenue due to strong customer demand for hybrid cloud technologies, including our core technologies, container platforms, and solutions that enable and manage multiple clouds and private cloud environments," stated Jim Whitehurst, President and Chief Executive Officer of Red Hat. GAAP operating income for the quarter was $118 million, up 47% year-over-year. Non-GAAP operating income for the third quarter was $179 million, up 25% year-over-year. For the third quarter, GAAP operating margin was 15.8% and the non-GAAP operating margin was 23.9%. GAAP net income for the quarter was $101 million, or $0.54 per diluted share, compared with $68 million, or $0.37 per diluted share, in the year-ago quarter. Elliptic Labs, a start-up with headquarters in Oslo and offices in San Francisco, and Shanghai have demonstrated its touch-free ultrasound gesture technology running on the Qualcomm Snapdragon 845 Mobile Platform using the Snapdragon Neural Processing Engine (NPE). Elliptic Labs’ ultrasound virtual sensors can be implemented in electronic devices, such as laptops, tablets and smartphones, to detect natural hand movements in the air above, in front of and to the side of the screen. The detected hand movement can trigger actions such as taking a selfie or group photo. NPE’s machine learning and artificial intelligence optimization tools. Elliptic Labs noted that its INNER BEAUTY proximity sensor technology is used in the hugely popular Mi Mix phone from Chinese powerhouse Xiaomi. Qualcomm introduced its latest generation Snapdragon 845 Mobile Platform, promising the performance for eXtended reality (XR), on-device artificial intelligence (AI), lightning-fast connectivity, and featuring a new secure processing unit (SPU) for protecting mobile devices. The Snapdragon 845 Mobile Platform includes an integrated Qualcomm Spectra 280 image signal processor (ISP) and Qualcomm Adreno 630 visual processing subsystem for cinematic video capture by flagship mobile devices. It is designed to deliver innovations for new XR experiences that span virtual, augmented and mixed reality. Snapdragon 845 is the first mobile platform to enable room-scale 6 degrees of freedom (6DoF) with simultaneous localization and mapping (SLAM)—for features such as wall-collision detection. Additionally, Snapdragon 845 introduces “Adreno foveation,” which substantially reduces power consumption, improves visual quality and boosts XR application performance, as compared to the previous generation. The Snapdragon 845 Mobile Platform is currently sampling. 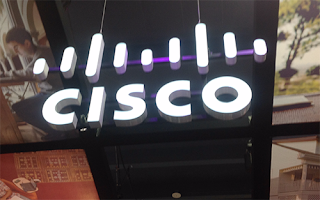 Zain Group is leveraging Cisco's advanced segment routing platforms and WAN automation to bring distributed intelligence and centralized control to its IP/MPLS network. The deployment will enable simplification, scalability and open innovation for the network. 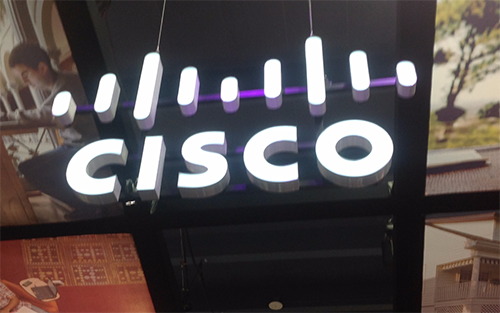 Cisco said its technology will also help Zain Group optimize network operations and offer a richer suite of differentiated services.